Rupee volatility has spiked to unseen levels after the resignation of Urjit Patel (the former governor of Reserve Bank of India) and Prime Minister Modi’s party BJP losing three crucial state elections. The currency has been swinging between highs and lows throughout 2018. USD/INR started 2018 at the 62-64 range and fell through the 70 level in August. October saw maximum pain with Rupee hitting an all-time low of 74.5 before rebounding to close the year just shy of 70. The more than 10% depreciation aside, the volatility itself is a killer for any entrepreneur and investor looking to manage his business and portfolio. The underlying cause for the decline in value of rupee can be attributed to multiple macro and local factors. The volatility in crude oil prices, trade war between China and the United States, emerging market meltdown and US Rate hikes all played an important role in driving Rupee volatility. The Current Account deficit is now expected to rise to almost 3% of GDP, another credit negative. With a massive farm loan waiver a huge possibility, Indian investors are facing a double whammy. Foreign investors have seen the writing on the wall and are beating a hasty retreat home. This number is the highest since 2008. A grim indicator of things to come. Relationship: The trade arrangements (import and export) between the two countries and economic strengths of each country influence the exchange rate between the two. 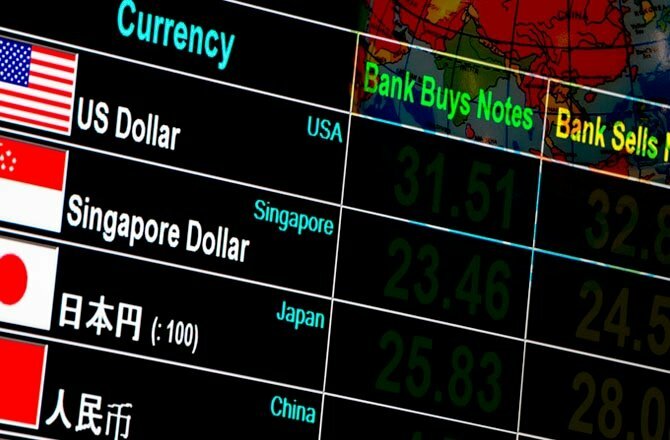 Inflation, interest rates, foreign exchange reserves, foreign investment inflow, and geopolitical conditions are the other factors which affect the exchange rate of any currency. The primary factor affecting the rupee value against the dollar is crude oil imports. 82% of the crude oil demand in India is met through imports. This is expected to increase by 42% during the fiscal year 2018-19 reaching $125 billion as compared to $88 billion during the previous year 2017-18. It positions India as the third largest importer of crude oil after China and the United States. Crude oil is sold in dollars. Increased demand for crude oil in the domestic market will result in shelling out more rupees to buy dollars which in turn will lead to an increase in the price of the dollar. This is the point where Indian currency loses its value and current account deficit increases. NRIs: A decline in the rupee value is good for NRIs repatriating money to India. They can increase their investment portfolio by investing in the Indian economy as they will need to pay less because of dollar strength. But it also hurts the value of the existing INR denominated portfolio. Indian Investors holding foreign investment (mutual funds, foreign stock) also benefit from the rupee depreciation. The foreign portfolio investors (FPI), who have poured billions of Dollars in Indian stocks are facing reduced dollar-denominated returns and are under pressure to redeem their investments. During October 2018, FPIs have withdrawn investment amounting to INR 38,906 crores from the Indian market. This is the highest amount ever in a single month. Indian Investors investing in local stocks or assets might feel sheltered from the vagaries of USD/INR. But they are sadly mistaken. 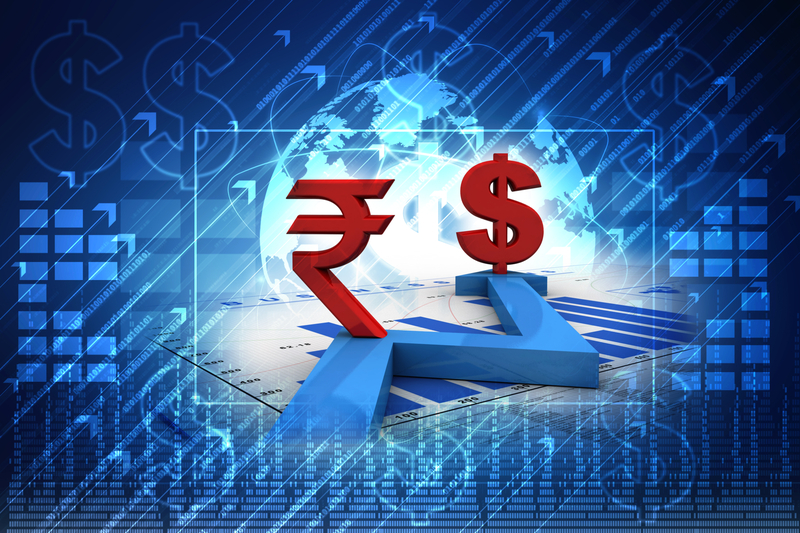 Indian companies are extremely active in the foreign exchange market. Importers have been hit extremely hard due the depreciating rupee, companies who have dollar denominated debts are staring at bankruptcy and exporters who had hedged future exports are staring at massive currency losses. Indian investors have had an extremely lackluster year and one of the critical drivers in this under-performance is the USD/INR depreciation. What is Dollar Diversification: Exchange risk can be controlled to a great extent by adopting a currency diversification strategy where the portfolio contains more than one currency. Investing in international markets is one of the safest strategies which provides global exposure to the investor and brings stability to their portfolios. The main aim of diversification is to minimize the impact of negative performance of a single currency on the overall portfolio of the investors. But this will help in not only fixing the currency fluctuation but also enhance risk-adjusted returns. Record INR volatility demands diversification of at least a certain percentage of the portfolio to USD assets. If you are looking to save for your child’s education aboard, diversification in USD assets gives you a perfect hedge. President Trump has recently announced a massive corporate tax cut which led to a record rally in American stocks. The tax cut is estimated to boost corporate profitability by up to 20%. 2019 is an election year and there is expected to be a marked increase in volatility in both exchange rates and financial markets. The government is expected to dole out tens of billions of dollars of freebies to attract rural voters. This is an extreme negative for Indian assets in the long run. The ruling party will face a tough fight from regional parties in the national elections. An unstable coalition at the centre will lead to a sharp sell-off in the Indian markets. Inflation is expected to rear its ugly head as RBI will be forced to increase interest rates in tandem with its US counterpart. This will be a strong negative for Indian real estate. 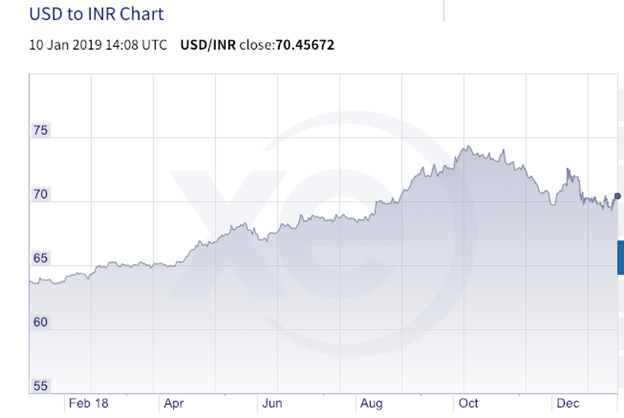 Experts are predicting USD/INR to return to the 72-74 levels in the long term. Rupee depreciation is not a temporary phenomenon but a long-term affair. So Indian investors must position themselves in a way that they stand to gain from such currency depreciation. Diversification of the portfolio through investing in Dollar assets can balance portfolio returns and minimize overall risk. 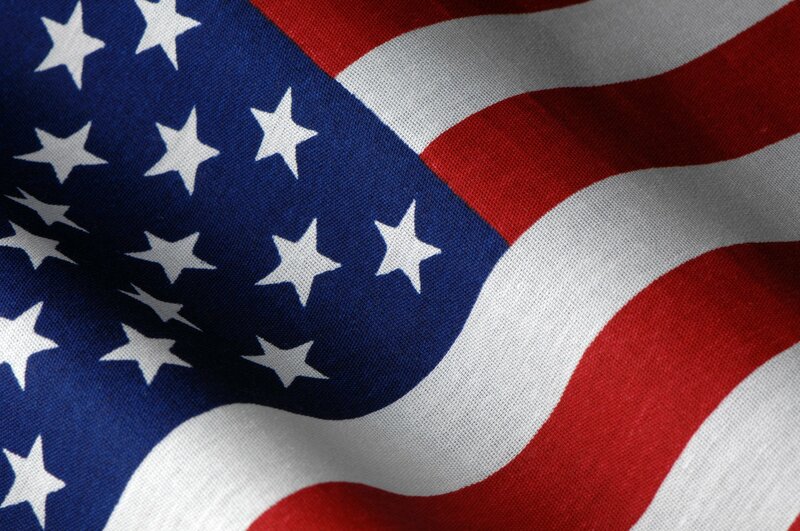 US Freedom Capital is a global investment firm committed to the long-term growth and security of investor assets. Its investment solutions focus on Dollar Debt (with adequate real estate collateral) and help you diversify your Rupee portfolio in a secure and safe manner. 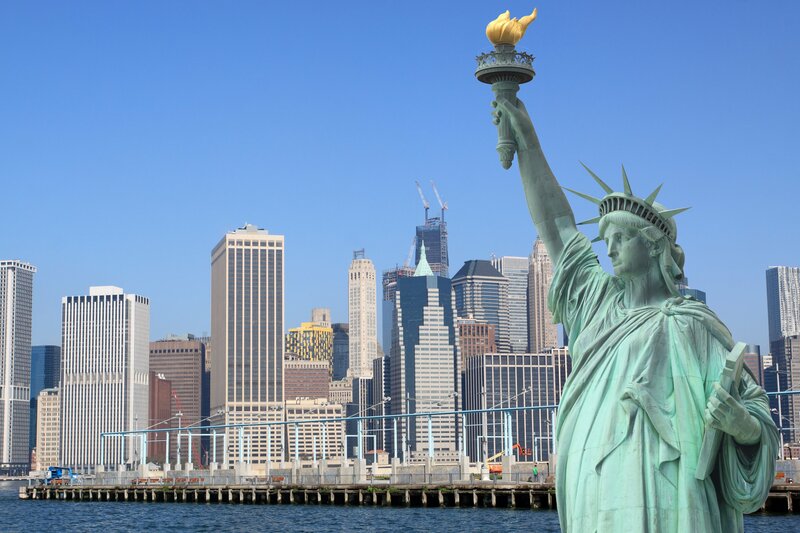 The focus is on absolute dollar returns with the security of US real estate behind your investments.